Please support me, longtime progressive activist John Aravosis, and my top-ranked progressive political blog AMERICAblog, as we take the fight for progressive values to Donald Trump's front door. 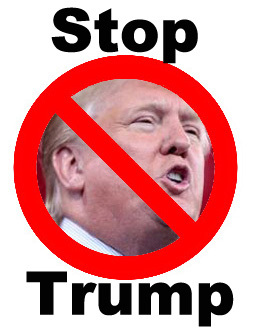 I will not sit idly by while Donald Trump shreds the Constitution, and threatens to turn America into a police-state based on fear, intimidation and division. This battle will be long and it will be hard. And I'll be honest with you, it's not going to be pretty. We will suffer some real losses during Trump's presidency. But I know we can fight back, and I know that in the end, we will win. For that reason, I have moved back to Washington, DC to take the fight directly to Donald Trump. I have spent the last 25 years fighting for progressive values. I know we can beat Donald Trump, but I need your help to do it. Please join me in this battle, and support my work. You may receive updates from AMERICAblog Action, the sponsor of this fundraiser. You may receive updates from John Aravosis, the creator of this fundraiser. Contributions to John Aravosis and AMERICAblog are not tax-deductible.